Numbers are in for December 2017 totaling 17 sales for the month! 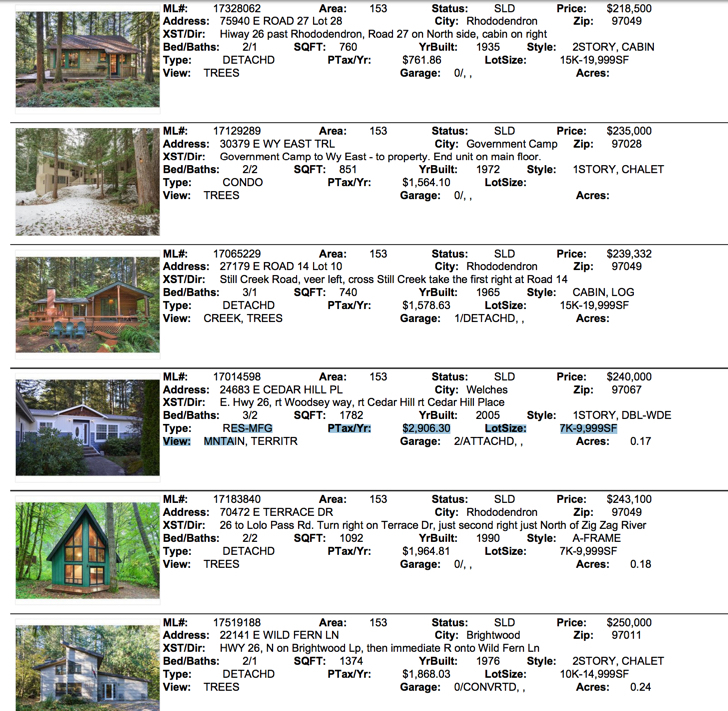 Mt Hood National Forest cabins totaled four sales and condos did well with three closed. The balance of closed sales were spread throughout the area. You can tell inventory is down when the Government Camp house on Round Mountain Loop finally sold after four years of being on the market! Record Setting December for Mt. Hood Real Estate Sales! December finished with a bang for Mt. 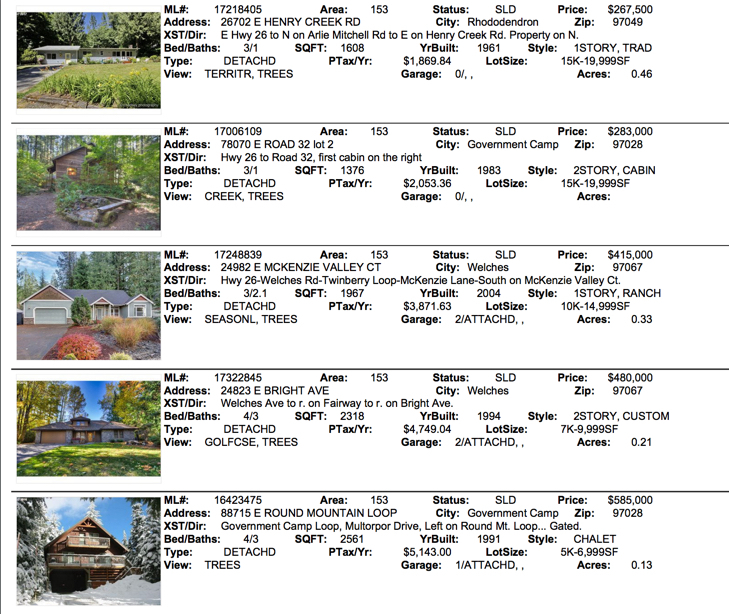 Hood real estate sales in 2012! We finished out the fourth quarter with an astonishing 45 sales! Fourteen were credited for the last month of the year. Despite appraisal challenges and buyer and home qualifying issues the numbers speak for themselves. Here are the fourteen winners in December! Four sales in Government Camp led the pack with three Condo units including a luxury Grand Lodges unit selling for $367,000 and the other two were Collins Lake condos. Only two foreclosure sales to report . 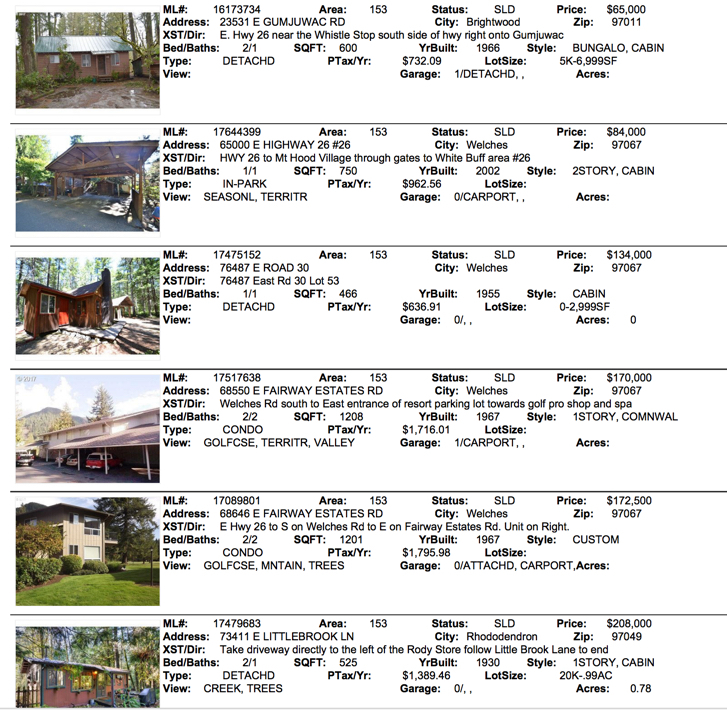 There’s only four bank owned properties currently for sale! REO’s or bank owned properties are being usurped by loan modifications and short sales. Short sales may dominate 2013 over foreclosures with an extension of the Homeowner’s Forgiveness Act just passing this month! Short sales made up 5% of the 2012 sales market.